Celebrate the recent Chinese New Year with more than a plate of General Tso’s chicken and a bowl of pork fried rice. Those are truly tasty and you can indulge but please add to that menu an exhilarating, elegant and exciting visit to explore 5000 years of culture and tradition wrapped in a won ton that is Shen Yun 2014. Take an adventurous journey to Waterbury’s Palace Theater on Friday, March 7 at 7:30 p.m. or Saturday, March 8 at 2:30 p.m. or 7:30 p.m. to attend one of three astounding performances to commemorate the Year of the Horse on the Chinese calendar. 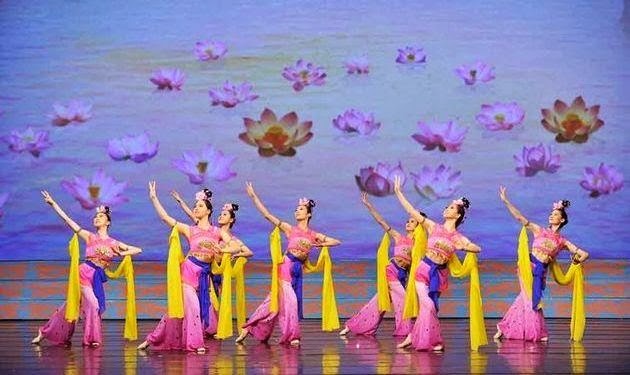 Every year since 2006, the New York based non-profit dance company Shen Yun Performing Arts has created a new graceful, lyrical and intricate program promoting Chinese civilization in its finest hours. With Chinese Classical Dance choreography that has martial arts components and all pure beauty, each year’s program is new and a dazzle to behold, with elaborate twirls and tumbles, kicks and flips. Powerfully moving, divine and even heavenly, the dancers, fifty in number, who come from Australia, Japan, the United States and Taiwan, virtually from all over the world, create a living, moving painting. Training from a young age, the troupe of mostly boys and girls in their early twenties, are clad in amazing handmade costumes, 400 in number and all in an original design. Imagine Manchurian princesses with elaborate head dresses, lavish long gowns in silk and satin and flowerpot slippers as well as men dressed as royalty or soldiers or dragons. like a dance revealing the origins of Buddha, known for his compassion, in each exquisite flowing gesture, facial expression, movement of hand, foot or head. The myth or tale could be of Mulan who disguises herself as a man to enter the army and save her father’s honor or the story of the Monkey King carrying Buddhism from India all the way to China. Perhaps in the forty-piece orchestra you will hear the dizi, a bamboo flute, or the erhu, a two string Chinese violin, the tang-gu, a court drum, or the pipa, a Chinese lute made of bone, wood and silk. East meets West in this musical feast. Shen Yu can be seen in 100 cities and 27 countries, but, ironically, it is prohibited in China due to the Communist rule. Come enjoy this marriage of classical dance and ethnic and folk dance with the supreme goal of telling China’s unique story and history. The word Yun means spirit of the dance and portrays heroes and villains, magic and mystery. 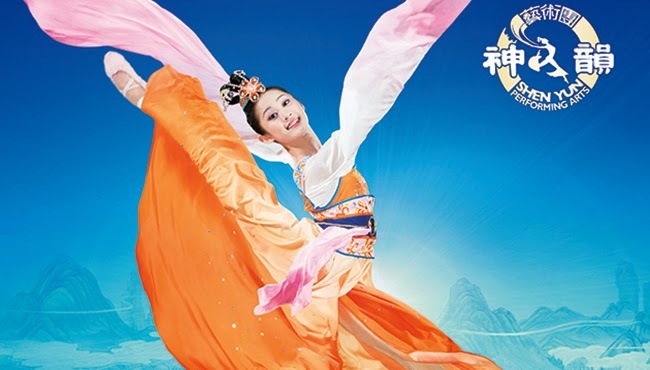 Take an authentic journey back in time with Shen Yun, filled with power and promise. Watch history come alive through the arts of music and dance. The impressive Red Carpet signaling the Oscars is rolling dramatically from Hollywood all the way to Old Saybrook, to the welcoming doors of the Katherine Hepburn Cultural Arts Center. It is slated to arrive on Sunday, March 2 at 7 p.m., with doors opening at 6:30 p.m., and host Ellen DeGeneres has all her quips and jokes and surprises lined up ready to pop. According to the busy co-chairs of the event, Diane Hessinger and Shirley Colquehoun, the excitement is mounting, minute by minute. When you walk in the entrance of The Kate, be prepared for the paparazzi and photography bulbs flashing as you have your picture taken with a live golden statue named Oscar. Come dressed to the nines or as your favorite movie character to enjoy the festivities, including outstanding Hors d’oeuvres and desserts courtesy of the Saybrook Point Inn and Spa's acclaimed Fresh Salt Restaurant. This fundraiser to benefit The Kate is sponsored by Comcast and Land Rover Guilford and will be hosted by Ann Nyberg, Anchor of WTNH News 8 and Kristen Roberts, Vice President of Publicity and Community Investment at Comcast. A raffle of ten special items, including 2 tickets to the Bruce Springsteen concert May 17 and 18 at Mohegan Sun and a 24 inch flat screen television as well as a silent auction of 50 great gifts like facials, massages and restaurants will be available for bid. 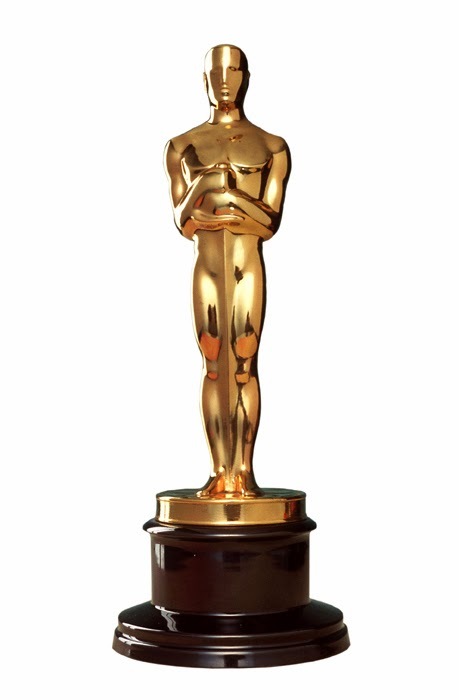 For best picture, would you select “American Hustle,” “Philomena” or “12 Years a Slave?” As leading actress, would you favor Cate Blanchett in “Blue Jasmine,” Sandra Bullock in “Gravity” or Meryl Streep in “August: Osage County?” In the category of leading actor, pick between Matthew McConaughey in “Dallas Buyer’s Club,” Bruce Dern in “Nebraska” or Leonardo Di Caprio in “The Wolf of Wall Street.” The choices abound. Call The Kate for tickets ($60 members, $65 non-members) at 860-510-0453 or online at www.katherinehepburntheater.org. Skip along the Red Carpet on a trail to great fun and food and festivities as you watch the Academy Awards live in HD on a big screen. Ready for my close-up, Mr. DeMille. 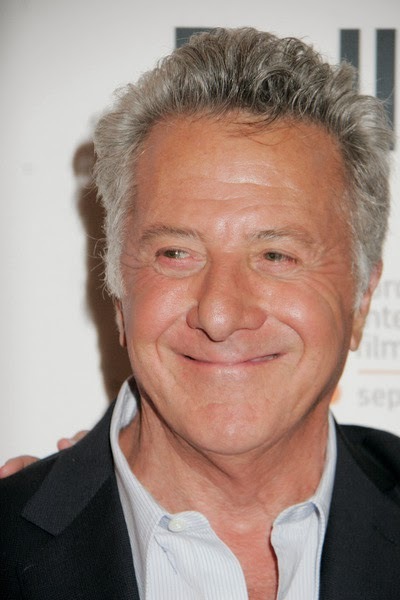 The stars were shining brightly above and inside the Quick Center at Fairfield University Thursday night, February 20 when veteran stage, televisIon and screen actor Dustin Hoffman and renowned director Francois Girard shared secrets and insights into their illustrious careers. Hoffman is a storyteller and despite the questions asked by moderator and art history professor Philip Eliasoph, he went off on delightful tangents, revealing tales of his colorful and successful show business life. Hoffman shared an apartment early on with Robert Duvall and Gene Hackman, waitered for years, didn’t do so well in college and almost accidently got cast in his breakout role as Benjamin Braddock in “The Graduate” (the role was supposed to go to a tall blond with blue eyes). Girard, who is best known for his incomparable movie which he wrote and directed, “The Red Violin,” that traces the journey of the instrument on its amazing journey through generations and centuries and trials and triumphs, is teaming with Hoffman on a new project: Boychoir. Filming next week at Fairfield University and at Yale, the movie will follow an eleven year old boy named Stet who is from the mid-west and is admitted to a prestigious East Coast school. This troubled lad has an amazing voice and the school is dedicated to preparing young boys to perform in a boy’s choir. These sopranos, singing in harmony, are lead by Hoffman as Carvelle, the Choir Master, while Alfred Molina will play a teacher, Drake, and Kathy Bates will portray the school’s headmistress. Boys of a certain age have a three year window when their voices sound like a heavenly gift, angelic, and this is their story. If you would like to be an extra in the film, email boychoir2014@gmail.com. People are needed to fill the audience at Yale University on March 11, 14 and 15, and you must be available from 4-8 hours. Ben Ridley wrote the script and the film is being produced by Informant Media. At Fairfield University, Hoffman and Girard provided a Master Class for all those fortunate to have attended. Their conversation proved that “art really matters” and one has to be willing to do the unpredictable and to strive for “calculated perfectionism.” As Dustin Hoffman summed up acting , “You have to work to develop empathy, to be human, and to be as courageous as you can....you’re always a student of life. Your body is your instrument and you are continually altering yourself so that your acting is effortless.” To him, you must be in the moment every day, you must live your own life and you must be honest to yourself. The Downtown Cabaret Theatre of Bridgeport is inviting you to commune with the legendary Stevie Wonder and his impressive musical stylings, courtesy of entertainer Gabriel Bello and his band “Natural Wonder.” Tonight, Saturday, February 22 at 5:30 p.m. and 8:30 p.m., you will be treated royally to Stevie’s greatest hits like “Isn’t She Lovely,” a song Stevie wrote for his daughter and which Bello sings in honor of his own new three month old girl. Other tunes will include “I Just Called to Say I Love You,” “Superstition,” “You Are the Sunshine of My Life,” “Ribbon in the Sky” and the wonderful list goes on. Bello and his great combo will transport you to heavenly plains and you’re encouraged to get up and dance your way around the room. Bello, inspired by his percussionist father, early on took the musical road, singing in church choirs and perfecting his abilities on flute, saxophone, harmonica and piano. Joining him on stage are Chris Revels on bass, Justin Allen on drums, Steve Daley on saxophone and Peter Gray on electric guitar. For tickets ($47), call the Downtown Cabaret Theatre, 263 Golden Hill Street, Bridgeport at 203-576-1636 or online at www.downtowncabaret.org. Doors open 30 minutes before the performance and you are welcome to bring goodies to eat and drink at your ringside table. 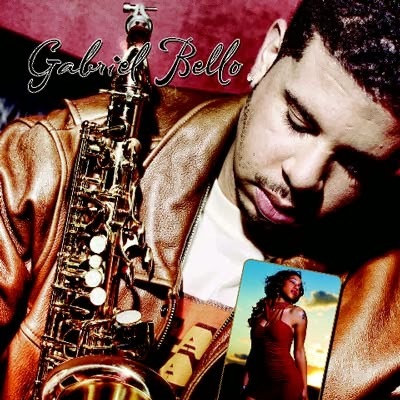 Let Gabriel Bello use all his natural wonders to bring Stevie Wonder’s talents front and center, with his signature braids, wraparound dark glasses and smooth, electric voice. The resemblance is a total triumph and tribute. At the heart of the quaint town of Thomaston, Connecticut is its famed Opera House, built in 1884 and voted to the National Register of Historic Places in 1972. Inside the Opera House is the home of the Landmark Community Theatre and productions that start with a welcoming organ concert. Stroll back in time in Victorian splendor, with romantic wall sconces and walls of stenciled mint with cranberry accents in evidence. 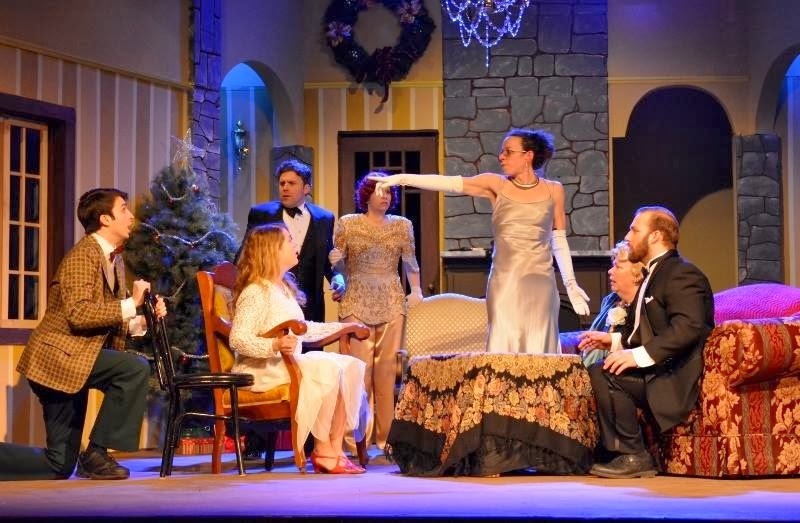 To become acquainted with this charming setting, plan to attend Landmark Community Theatre’s current offering, Ken Ludwig’s “The Game’s Afoot” until Sunday, February 23. It’s part mystery, part melodrama, part comedy and part farce and you’ll need a scorecard to discover who is dead, could be dead or someone wants dead. Is it Miss Plum in the dressing room with a knife? Maybe! The action is set in the castle home of famed actor William Gillette, who made his name in the 1930’s with a play he penned about Sherlock Holmes, the astute and clever detective created by Sir Arthur Conan Doyle. Gillette not only wrote the popular play, he starred in it as Holmes for twenty years. Now the tables are turned and Gillette has been shot, but happily not mortally, while on stage at New York’s Palace Theatre. Recovering, he has invited all the “suspects,” his fellow actors, to his incredible new home on the Connecticut River in East Haddam, to discover the culprit. Now he is playing Sherlock Holmes for real. 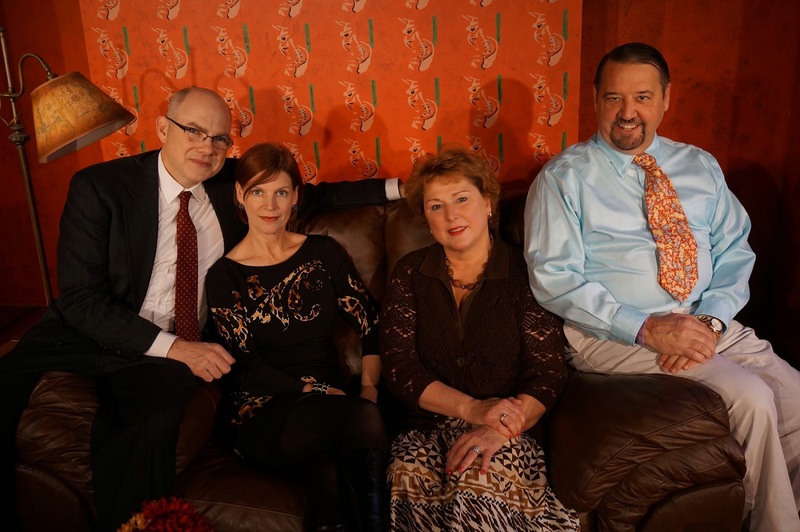 Arriving for Christmas weekend are his cast members Felix (Frank Beaudry) and his wife Madge (Shannon Sniffin) and Simon (Morgan Morse) and his new wife Aggie (Meghan Rickard). Gillette’s mother Martha (Jane Coughlin) is already there to help play hostess for her son, while the caustic theater critic Daria Chase (Nicole Thomas) soon inserts herself, uninvited, into the dramatic mix. Spouting Shakespeare to each other as actors as wont to do, the guests are soon shouting accusations at each other: of blackmail, jealousy, adultery, and, especially, of murder. Luckily, an unusual and sightly daffy, slightly savvy policewoman Inspector Goring (Janice Connor) arrives in the snow storm to make sense of the pandemonium. Eric Wilczak directs the comic chaos with murderers and victims hiding behind every velvet curtain and secret sliding wall panel. For tickets ($23.50, students and seniors $19.50), call Landmark Community Theatre, 158 Main Street, Thomaston at 860-283-6250 or online at www.landmarkcommunitytheatre.org. Performances are Friday and Saturday at 8 p.m. and Sunday at 2 p.m., February 21-23. Mark your calendars for a festive Mardi Gras celebration, Saturday, March 1 from 8-11 p.m., with live music by Vinyl Vortex, costume prizes, raffles, catered snacks from local restaurants and a cash bar. Come in mask and costume for this unique fundraiser. Tickets are $25. Grab on to Sherlock’s houndstooth cloak for a funny and bumpy ride on the Murder and Mystery Express. Mothers often brag about their offspring, as in "my son, the doctor" competing with "my son, the lawyer." Now I get to brag about Adam Goldberg, "my son, the entrepreneur" and his best friend and business partner Kay Saucier, the inventor. The saying goes that "necessity is the mother of invention" and in Kay's case that specific moment was when he was high on a ladder doing construction work for his company Choice Design and Remodeling and dropped and broke a $600 trim nail finish gun. After he finished a manly bout of swearing, that exciting light bulb went off as he decided he needed to find a tool to hold his expensive equipment while perched on high. With a wife and three young daughters, safety is always a priority. Searching online, he discovered, unhappily, that such a ladder attachment didn't exist. The answer then became clear: invent one himself. His reasoning was simple. Anyone who works on a ladder, for a living or as an occasional hobbyist or chore completer, needs an extra pair of hands, similar to an octopus...and no one wants to drop a tool, $500 or $50, from their work station. Also the sobering thought is that thousands of accidents and even deaths occur from ladder accidents and falling tools every year. Hence, The Hangman was born, to mount on the rung of a ladder, on either or both sides, to hold tools in place and free hands to complete the work safely and efficiently. Over many reincarnations, the basic design has stayed the same as modifications have been made. Kay built the first one with his dad in a garage, not unlike the many garages that gave birth to computer geniuses like Steve Jobs and Steve Wozniak with Apple and Hewlett and Packard as well as Jeff Bazos with amazon.com. At first it was composed of a guitar stand and an adaptable flagpole holder, with miscellaneous pieces of wood and aluminum. Kay and his dad walked through many a hardware store over several months searching for improvement ideas, but that first prototype wasn't strong enough and had too many components. The next step was to start the patent process which is both lengthy and expensive, to be sure that there was nothing else like it in the marketplace. Once that was established, Kay contacted a company, Invent Home, that he found online to help him with his novel and inventive idea. A waiting game ensued, hoping for a "magic person", a fairy godfather if you will, to come along and take up the cause. Enter my son, Adam, who though not the skilled fix-it man, nonetheless recognized The Hangman as a unique, useful and essential addition to anyone's tool box. A working partnership was forged as the two men determined to take the project up a notch to the next step. A trip to a local college's engineering department was an expensive and frustrating misstep, when what they hoped would be a home run turned into three strikes out at home plate. The over-engineered result "could have held a Volkswagen" instead of the tool they wanted to work for up to 35 pounds. Soon after they took to the road and located a Seymour office park, that focused on manufacturing, to knock on doors. The first stop, a steel metal company, steered them to what would be the wizard and magician and fairy godfather they needed, all wrapped into one company: JV Precision Machine Company. A very successful family run operation since 1975, the second generation, brothers Josef and Andrew Visinski, with their prowess in manufacturing, have motivated Kay and Adam in all the right directions. Shepherding their progress, the brothers tooled the first real aluminum model, perfected it, worked on additional pieces to complement it, like a paint can ring, and have signed on as partners in the process. Incredibly generous with their time and talents, they have shared their years of expertise to guide the budding businessmen along the straight path. According to the Visinskis, "Precision tools are our trademark work and we are proud The Hangman will be the newest product we offer." Another incredible coup was Adam and Kay's venture with SCORE, Southern Connecticut Organization of Retired Executives, a non-profit group of volunteers who offer business help for new businesses. They hit another jackpot with their initial contact with Wes Thompson of Sandy Hook, who had decades of experience at I.B.M. and also at running his own company. As a mentor and adviser, Thompson has been invaluable in guiding and advising for major and minor decisions. Adam and Kay consider Wes "awesome." Wes remembers the day Adam and Kay first appeared at SCORE, May 7th, 2013 in Newtown to discuss their new business venture. "Adam and Kay were already successful business owners but they were looking for advice. Kay had invented a new product that they wanted to manufacture and sell as partners. Their original question was how to get market research data that would allow them to forecast potential sales. That initial meeting grew into a long term and close advisory relationship with me that still continues today. We routinely talk by phone, meet in person, and exchange email on any topic that involves managing and operating a business. We are business friends who share ideas, opinions and develop action plans. I feel like I am part of their business team. I celebrate their success and value them as colleagues and friends. "SCORE is a nationwide non-profit volunteer organization dedicated to helping small businesses, both new and existing. Some clients are early stage entrepreneurs who are defining their ideas, building their plans or obtaining financing. Others are established businesses that are seeking to grow or have challenges and need someone to discuss options. Some are seeking to buy, sell or merge with another business. SCORE has been providing advise for nearly fifty years as a resource partner of the U. S. Small Business Administration (SBA) and has a network of approximately 11,000 volunteers at 340 offices that deliver services at no charge. Adam and Kay are just one of the burgeoning concerns that we have helped." With the trademark The Hangman, the next step was to create a company name. Kay went on Google and typed in Hangman and then proceeded to check every language looking for a name. Finally, at the end of the alphabet, at "Y" for Yiddish, he found the "cool, foreign and unique spelling" he was seeking: thus Talyn Industries, LLC was born. Now armed with a company name, it was time to hire a media consultant. Once again, online, Adam searched for a video production company and hooked up with the husband and wife team of Eric and Kristen Pontbriand of Media InFocus of Plymouth, CT. Liking them right away, Adam and Kay have enjoyed their "dedication to progress" as they have worked on creating a website, a video, designing logos and business cards, and creating a booth at a pair of upcoming trade shows. The Hangman will be officially unveiled in March, 2014 at the Journal of Light Construction in Providence, Rhode Island and in May at the National Hardware Show in Las Vegas, Nevada. to-secure-tools-to-your-l  and pledge dollar amounts for special tiered levels. For example, a donation of $1 gets you a thank you email from Talyn Industries while $15 will secure an aluminum Hangman key chain and bottle opener etched with your name. Move quickly for the two Early Bird specials limited to just 50 units each. For a pledge of $89, you get a Hangman etched with your name. For $109 you get one Hangman with paint ring, with your name etched. Once the Early Bird Specials are filled, for $99 you get one Hangman, while a pledge of $119 will provide one Hangman, with a paint can ring attachment. A pledge of $200 will offer 2 Hangmen, with one paint can attachment, while a pledge of $1000 will include all of the $200 package plus a full tour of the manufacturing facility, a meet and greet and lunch with the principal inventor and partners and your name engraved on your 2 Hangmen in custom laser etching. Free shipping and handling is included on all U.S. orders. If the full goal of $10,000 is not reached, there is no obligation to honor your pledge. The next problem to resolve was the packaging of The Hangman and Adam and Kay were fortunate to contact William Ledewitz of New Haven, a gentleman who has spent his life's work designing boxes for everything from toothpaste to board games. Bill generously gave them advice gleaned from his decades of work in the packaging field. You can encourage these exciting entrepreneurs/inventors by investigating their innovative new product: The Hangman. Like them on Facebook, watch their production video on their website or make a pledge on KICKSTARTER. Make your next trip up a ladder safer and more productive. 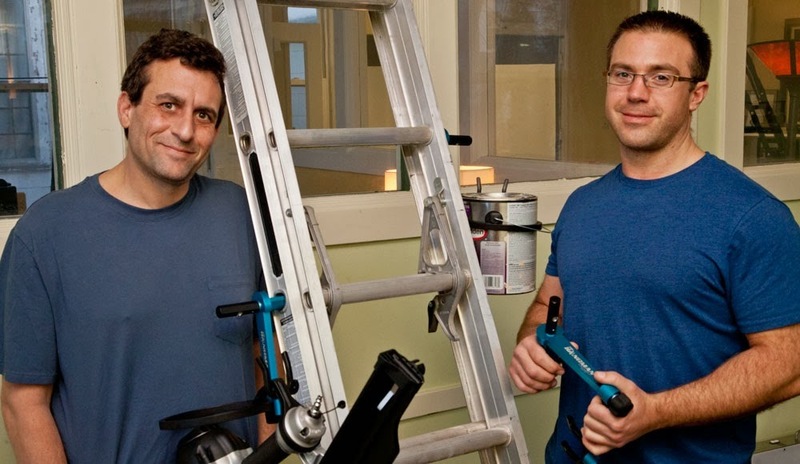 Let The Hangman guarantee you won't drop an expensive tool or hurt yourself, thanks to my son Adam, the entrepreneur and his good friend, Kay, the inventor. Get ready to shout a few "hee haws" and "ride 'em, cowboys" if you plan to travel to that infamous "chicken ranch" located in the lone star state of Texas. Based on a real brothel with a colorful history, "The Best Little Whorehouse in Texas" is a rip-roaring, rootin'-tootin' musical comedy with music and lyrics by Carol Hall and book by Larry L. King and Peter Masterson. The Connecticut Cabaret Theatre in Berlin will be entertaining the ladies and gents lavishly or maybe lasciviously weekends until Saturday, March 15. Director and producer Kris McMurrray really likes this show, because this is his fifth dance with the musical and the first one in which he isn't prominently featured on stage. It has lost none of its appeal since its opening on Broadway in June of 1978. Just be aware the language of four letter words is as colorful as the story. For more than a century, the Chicken Ranch has been operating with the smooth hand and guidance of Miss Wulla Jean (Linda Kelly) until she passed on and Miss Mona (Kelly Bourque) took over the reins and continued its fine reputation of service to the gentlemen of the community of Gilbert, Texas. Perhaps it ran so well because the Sheriff Ed Earl (Tom Roohr) and the Mayor (Rick Bennett) shut their eyes and tacitly gave it their protection and approval. All boded well until the Chicken Ranch got into the crusading cross hairs of one television rabble rouser, the barking watch dog, Melvin P. Thorpe (Bobby Schultz) who decided the brothel must cease and desist its business operations. Needless to say, Miss Mona and her girls did not take kindly to old Mel and his interference. Involving the Senator (Russell S. Fish) and the Governor (Steve Sorriero) were no help. The loyal customers or if you prefer guests (Rick Bennett, Chris Brooks, Will Dayton, James J. Moran, William Moskaluk, Chris Pearson) were doomed to be disappointed while Mona's girls (Ashley Ayala, Kaite Corda, Shannon Fish, Sandra Lee, Erika Lee Pocock, Elizabeth Bernard, Jessica E. Rubin and Carleigh Schultz) and Mona's right hand gal (Alison McMeans) were powerless to stop the tide of censorship and change. Kris McMurray provides a snappy good ole time for all as he directs this large and enthusiastic cast from all over Connecticut. Musical director Pawel Jura leads his band spiritedly through such numbers as "Girl, You're a Woman Now," "The Sidestep," "Hard Candy Christmas" and "I Will Always Love You." For tickets ($30), call the CT Cabaret Theatre, 31-33 Webster Square Road, Berlin at 860-829-1248 or online at www.ctcabaret.com. Remember to pack goodies to share at your table or plan to buy desserts and drinks at their onsite cafe. Come to the hoedown with or without your cowboy hat and spurs. A fashion show worthy of Frederick's of Hollywood lingerie is an extra treat. With the plethora of award shows flooding your television set, have you ever given a thought to being asked for your opinion on a new entertainment venture? Your viewpoint is being solicited in a unique and fun way. The Second Annual New Haven Playwriting Contest will be held at the Woodbridge Jewish Community Center next Sunday, February 16 at 7 p.m. and your vote is needed. The first year when the call went out from the New York’s Jewish Play Project, an amazing 167 submissions were received from all over the world. Next year an astounding 228 plays of a Jewish content were received. This year 513 plays from 250 playwrights in 25 states and 8 countries were sent. Wow! The local JCC has only been participating for two of the three years of the project. A panel of theater experts did a LOT of reading and narrowed the field down to the top 10. Then a local panel, chosen by the JCC Theaterworks, read the chosen 10 and picked three. On Sunday, you, the audience, get to vote on which play gets a full New York workshop in June at the 14th Street Y, with a goal of a professional production to follow. Will the choice be “G-d’s Honest Truth” by Renee Calarco from Washington, D.C. about a rabbi, posing as a modern day Indiana Jones, who rescues Holocaust Torahs and, in a touching ceremony, finds them new synagogue homes and raises thousands of dollars in the process. Sounds wonderful, nu? But what if it is all a sham and fraud? Based on a true story of a Baltimore rabbi who has since been imprisoned, the play deals with truth and the lack of it thereof. Your final choice is “Jew Kamp,” by Stephanie Swirsky of New York, New York, a lighter offering about 5 teenagers on a March of the Living trip to Poland and the death camps and ultimately Israel. Issues such as sexuality and peer pressure are juxtaposed against Judaism and the Holocaust. This is a thought-provoking look at today’s youth and their ultimate value systems. Excerpts of each play will be read and then the voting begins. 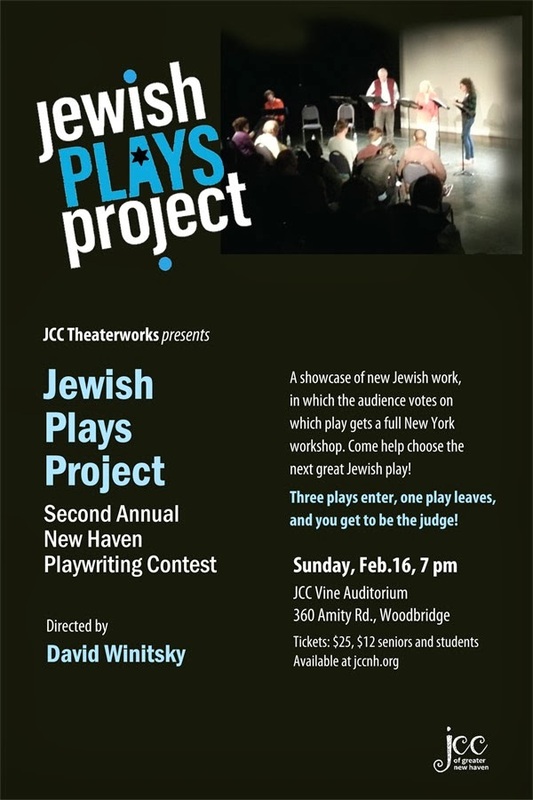 Founder and artistic director David Winitsky is in charge of the Jewish Play Project. Tickets are $25 and $12 for seniors and students and may be purchased online at www.jccnh.org or by calling 203-387-2522, ext. 300.
torium at the JCC, 360 Amity Road, Woodbridge. For tickets ($25, seniors and students $12), call the JCC at 203-387-2522, ext. 300. Support the almost new JCC Theaterworks and its productions in this pair of exciting theatrical ventures. The ominous cackle of a witch, the growl of a menacing bear and the weird adventures of characters who resemble Goldilocks and Little Red Riding Hood quickly give the impression that Dorothy is not in Kansas any more. Fairy Tales traditionally tell folk lore stories that prove there is a long distance between "once upon a time" and "happily ever after" and, more often than not, they never converge. Stuffed as they are with demons and devils, and witches and wolves, they are all too scary and fantasy driven in the extreme. Playwright Meg Miroshnik wants to take you along on an adventure she herself took, thousands of miles to her family's home in a novel, theatrical experience at the Yale Repertory Theatre until Saturday, February 22. "The Fairytale Lives of Russian Girls" is based on a real trip Miroshnik took almost a decade ago and mirrors to a small extent the voyage her heroine Annie takes as a twenty year old, returning to her native Russia to perfect her Russian language skills and to lose her American accent. Annie gets a lot more than she bargains for as she is transformed, eagerly or accidentally, into a fairy tale world. Annie, a hearty and spirited Emily Walton, kisses her mother (Jessica Jelliffe) good-bye and sets off to stay with her aunty (Felicity Jones) who ages every time she is asked a question and greatly resembles a witch right down to her broomstick. She is soon fattening Annie up for what is sure to be a tasty meal. Think Hansel and Gretel. Watch out, Annie, there are dangers around every doorway and potato (yes, even the potatoes can be evil). Annie soon hooks up with a coven of weird friends, like the two Katyas (Celeste Arias and Stephanie Hayes), and Masha (Sofiya Akilova) who quickly have Annie dressed in unusual garb (courtesy of designer KJ Kim) and trapped in folk tales laced with danger. Her mother has sent her off with an evil eye pin, but can it shield her from the big brick oven or prevent her from leading a hard knock life? Mama warns her not to wander off the path, but, of course, Annie does. Fairy godmothers and evil stepmothers, poisoned apples, complicated riddles, enchanted flying hands and talking vegetables are just a few of the encounters Annie faces in this strange journey of discovery, on a bizarre set designed by Christopher Ash, under the inspired direction of Rachel Chavkin. A punk rock band loudly punctuates the action, with original music by Chad Raines. For tickets ($20-98), call the Yale Rep, 1120 Chapel Street, New Haven at 203-432-1234 or online at www.yalerep.org. Performances are Tuesday to Saturday at 8 p.m., with 2 p.m. matinees selected Wednesdays and Saturdays. Be careful where you walk as you venture with Annie down strange paths, into the woods, to encounter unusual characters, with only one evil eye pin as protection. For pizzazz personified, look no further than the four decades of song stylings by Sheena Easton. Born in Scotland, she debuted as a performer at the tender age of five when she sang "Early One Morning" at her aunt and uncle's silver wedding anniversary. But it wasn't until she was a teenager, sitting in a movie theater and seeing and hearing Barbra Streisand in "The Way We Were" that she realized her goal in life: to become a singer like Barbra. And what a singer she is, and international recording artist and stage and television film actress. Earning a scholarship to the Royal Scottish Academy of Music and Drama in Glasglow, she trained by day to be a speech and drama teacher but, by night, she indulged her real dream, singing with a band, "Something Else" at local clubs. As a virtual unknown, she was fortunate enough to be the focus episode of a British documentary "The Big Time" which followed her turn from obscurity to pop-star fame, winning a record contract with EMI Record Company in the late 1970's in the process. To become personally acquainted with this jewel of a performer, head straight for the Edgerton Center for the Performing Arts , on the campus of Sacred Heart University, on that most appropriately romantic date of Friday, February 14 at 8 p.m. for "Sheena Easton Live in Concert." With Petula Clark and Lulu, she became the first United Kingdom female solo artist ever to top the United States Hot 100. Sheena is the only artist in the history of the U.S. Billboards to have top 5 hits on each of the Billboard key charts at the same time, "Morning Train" (9-5) (Pop, Adult, Contemporary), "We Got Tonight" with Kenny Rogers (Country), "Telefone (Long Distance Love Affair) (Dance) and "Sugar Walls (R and B). Easton has sung the James Bond 007 title songs in "For Your Eyes Only" and "The Man with the Golden Gun" as well as performed the voice of Sasha LaFleur in "All Dogs Go to Heaven 2", "Indecent Proposal," on Broadway in "Man of La Mancha" and on television in programs like "Highlander" and "Miami Vice." Now she frequently headlines in Las Vegas. For tickets ($35, students, seniors and faculty $25), call the Edgerton Center, 5151 Park Avenue, Fairfield at 203-371-7908 or online at www.edgertoncenter.org. What a romantic Valentine's Day treat for your sweetie. Come hear two-time Grammy Award winning pop star and actress Sheena Easton, who also boasts 7 Gold Albums and 1 Platinum as she croons "For Your Eyes Only" as only a "Modern Girl" can do. Long before an orphan boy named Peter Pan flies into the bedroom of the Darling children, there were many adventures in his life. To learn about a young Peter, who didn't even have the privilege of a name and was known simply as The Boy, travel straight to the Bushnell Center for the Performing Arts from Tuesday, February 18 to Sunday, February 23 to make his acquaintance and discover his fascinating and complicated history in "Peter and the Starcatcher." Peter Pan is that stubborn lad who never wants to grow up. He flies to Neverland and encounters a mean-spirited Captain Hook, a devil of a crocodile, an Indian Princess and a whole passel of Lost Boys who look to him as their fearless leader. He entices Wendy Darling and her brothers Michael and John to leave their comfy home and learn to fly to Neverland with him. But what happened before Peter Pan and Wendy meet? Thanks to a fanciful novel by Dave Barry (yes, the humorist) and Ridley Pearson, and a play by Rick Elice, "Peter and the Starcatcher" will tell the prequel to J. M. Barrie's beloved lad and reveal what took place earlier. 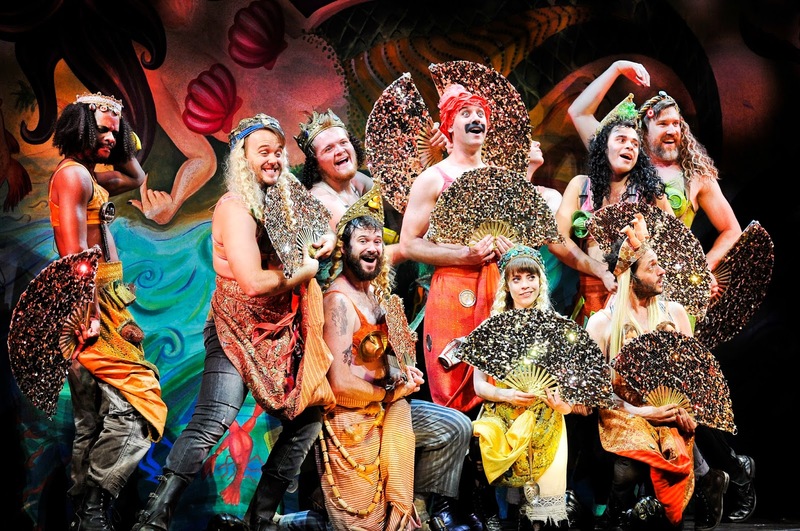 A dozen talented actors will create over a hundred different roles, with a minimum of fuss and props, from pirates to villains, mermaids to Molly, the only female in the cast and clearly the plucky heroine. and you are traveling with your young daughter Molly and her nanny, Mrs. Bumbrake, to the Kingdom of Rundoon and it is your responsibility to make sure the chest arrives safely to its destination. To fool the pirates, a similar chest, filled with sand, is being sent as a decoy but the sinister captain, Bill Slank, uncovers the ruse and switches them. He is piloting the wreck of a vessel, the Neverland, with Molly and her nanny aboard, while the real treasure was supposed to be on the fastest ship of the fleet, the Wasp, with Lord Aster. To further his nefarious scheme, Slank purchases a trio of lads, from the Orphanage for Lost Boys, one of whom will later claim the name of Peter. Watch for a magic amulet that glows when there is danger, a group of mermaids who think they belong in Vaudeville, plots and counter plots to claim and reclaim the treasure, ships that sink, pirates and passengers who go overboard, a quite hungry crocodile Mr. Grin who has a taste for humans, a strange language known only to Dodo birds and a magic material known as starstuff that everyone covets. And that's just a little appetizer of the plot! For tickets ($22 and up), call the Bushnell, 166 Capitol Avenue, Hartford at 860-987-5900 or online at www.bushnell..org. Performances are Tuesday, Wednesday and Thursday at 7:30 p.m., Friday at 8 p.m., Saturday at 2 p.m. and 8 p.m. and Sunday at 1 p.m. and 6:30 p.m.
Let your creative imagination and spirit of adventure soar as this storytelling extravaganza flies free and far on a theatrical experience like no other. A confrontation between two eleven year old boys in a local park leads to one boy, Benjamin, picking up a stick and hitting the face of the other, Henry, causing the lose of two teeth. Who was the instigator? How guilty was the victim? Where to lay the blame? How to resolve the sensitive issue? Henry's parents want answers and, to that end, they invite Benjamin's folks over to discuss the problem and find a satisfactory resolution. The goal is to find the art of co-existence and to be sure the incident is never repeated, that the boys can resolve their differences and achieve peace. It is easier said than done. 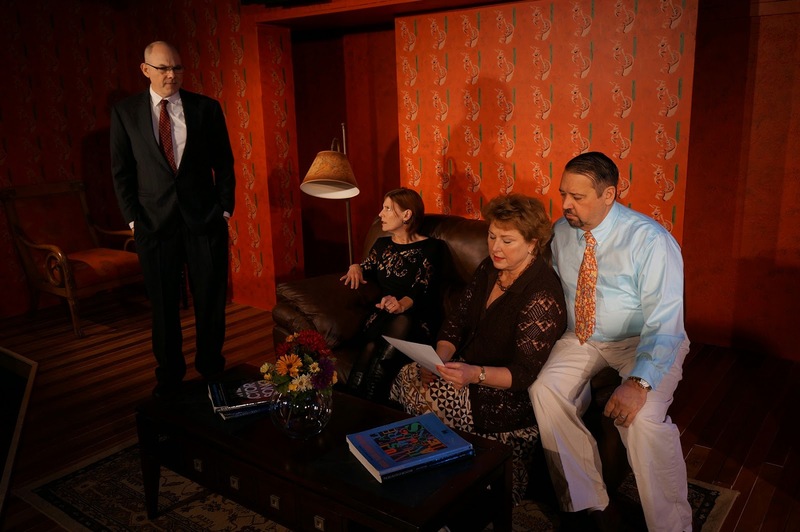 For a front row seat for the interrogation and investigation, attend Yasmina Reza’s “God of Carnage,” translated by Christopher Hampton, at Music Theater of Connecticut weekends until Sunday, February 16. The drama is a clear departure from MTC's usual musical fare and the ensemble cast gives it a verbal battle royal. Initially Veronica (Cynthia Hannah) and Michael (Jim Schilling) are gracious hosts, offering fruit tart and coffee to their new acquaintances, Annette (Marty Bongfeldt) and Alan (John Flaherty). No one is casting blame and no one is accepting responsibility for the incident, after all they want to be civilized and resolve it amicably. Michael, with a whole sale house goods business, is soon pitted against Alan the attorney who is so preoccupied on his cell phone with legal matters of a financial and medical nature that he cannot spare the time to focus on his son. On the high moral ground is Veronica who is writing a book on the tragedy of Darfur and she is just as passionate about that cause as she is about her son Henry being vindicated in the incident closer to home. Annette becomes increasingly disturbed by the discussion, until she literally explodes with her distress. As the discussion and the evening progress, the parents stoop to childish roles, even temper tantrums, turning the talk into chaos. Reasonableness is quickly discarded as the four parents collide, often switching allegiances, as husband disparages wife, and women side together against the males, and it almost comes to physical blows. Prepare to see cell phones continually vibrate, tulips get crushed, hamsters escape, rare books be ruined, Cuban cigars be offered, rare bottles of rum get consumed and the adults discover how like their children they really are. Mark Torres directs this talented cast through this comically tragic clash of civilization meets chaos. For tickets ($25-45, with $5 off for seniors and students), call MTC, 246 Post Road East (lower level) Westport at 203-454-3883 or online at www.musictheatreofct.com. Performances are Friday at 8 p.m., Saturday at 4 p.m. and 8 p.m., and Sunday at at 2 p.m. Look forward to MTC's new space in September at 509 Westport Avenue, route 1, in Norwalk by viewing www.musictheatreofct.com/newspace and be dazzled. Pledges of financial support are most welcome. Get a scorecard and pick a side to see who is responsible, who is the victim, who the executioner, who the child and who the adult. Imagine a dirt-poor and illegitimate girl of fifteen who by the age of twenty-two has achieved some stardom. By twenty-four she has become the mistress of one of the most powerful men in Argentina and by twenty-seven who has earned the title of First Lady. By thirty-three her reign of power, controversial and devastating, is over. Eva Peron, as the wife of Juan Peron, enjoyed folk heroine status and was considered a popular cultural icon, who rose from poverty to incredible power. Acting in the theater from the age of fifteen, she left home with a cardboard suitcase and played roles as diverse as Sarah Bernhardt, Elizabeth I of England and the last Tzarina of Russia, but her greatest role was as the second wife of Juan Peron and the “Spiritual Leader of the Nation” of Argentina. 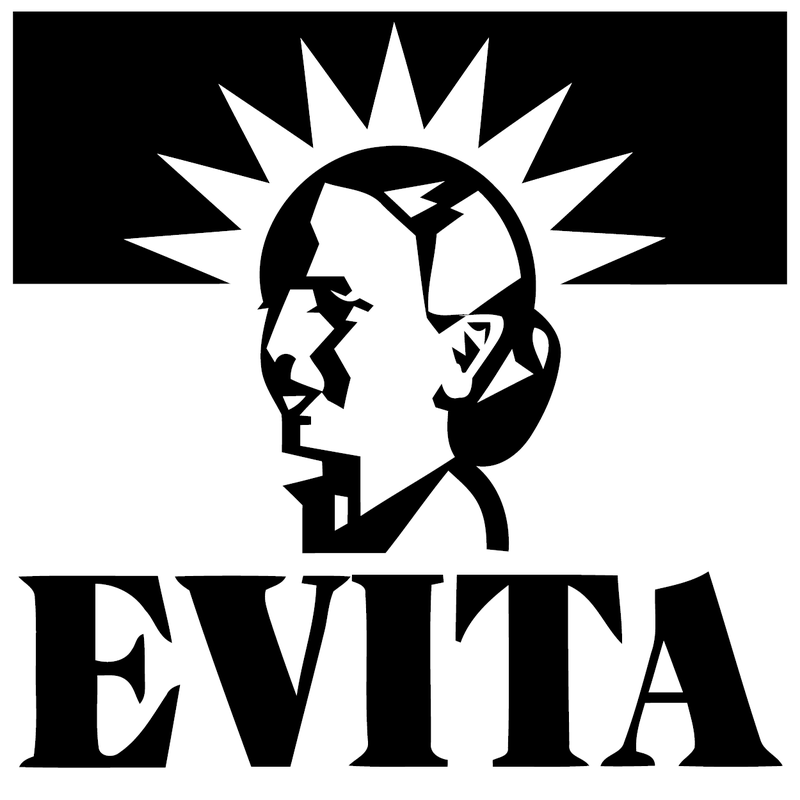 To gain insights into the motivation behind the mask, attend the excellent Tim Rice and Andrew Lloyd Webber production of the hit Broadway musical “Evita” playing at the Warner Theatre of Torrington, presented by the Warner Stage Company, until Sunday, February 9. Arianne De Cerb embraces the role of Evita, which means “little Eva,” with just the right blend of ambition, compassion and flamboyancy, striving to use her influence to advance her own prowess as well as to help the poor gain a better lot in life. The totally sung production, which includes Latin, pop and jazz tunes, begins at the death of the “fantasy queen,” “the goddess.” “the Cinderella of the tango, “the Sleeping Beauty of Latin America” and follows her meteoric rise to fame and success. Born out of wedlock, in dire poverty, she used her beauty and captivating charm to advance her personal agenda. Calling the day she met Peron (Tim Reilly) at a fundraising party for earthquake victims her “marvelous day,” she overcame her lack of formal education and theatrical career to raise herself and her husband to deity status. Throughout the majestic musical are such memorable numbers as “Buenos Aires,” “Don’t Cry for Me Argentina,” “Rainbow High” and “And the Money Kept Rolling In.” Her actions are continually questioned by Che, a man of the people, portrayed dramatically by John Farias. Included in her story are people, the stepping stones, that Eva uses and abandons on her way to the top. Donald Birely directs this absorbing musical, with musical direction by Will Minton and choreography by Richie Lucibello. are Friday and Saturday at 8 p.m., with matinees Sunday at 2 p.m.